A lively minnow on the end of a hook or small jig is an awesome presentation. Fish cannot resist the flash a struggling minnow makes in the water. Fish are drawn to the minnow because they think it is injured and an easy meal. 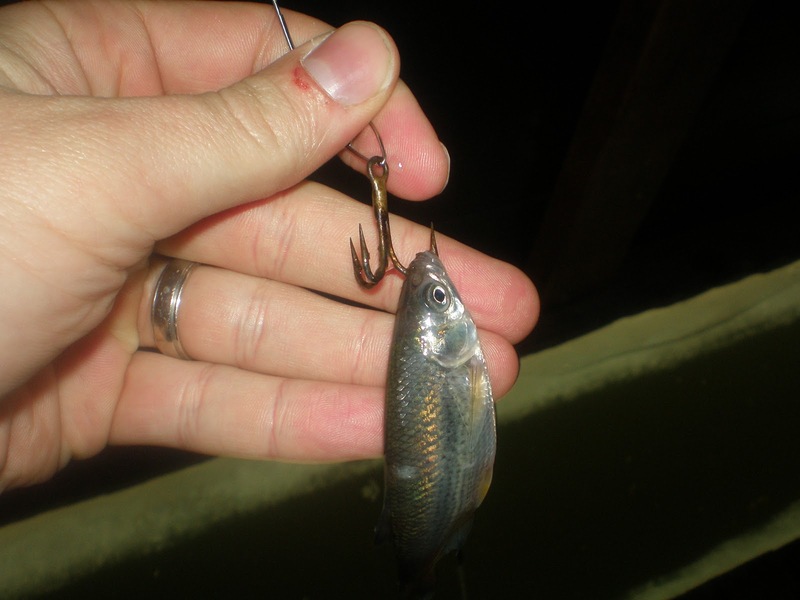 Anglers can maximize the amount of time their minnows fight by hooking them properly. Most anglers make the mistake of hooking the minnow anywhere and think they are good to go. They push the hook into the head or spine of the minnow. By doing this, the minnow will definitely be hooked but will die faster. This forces the angler to re-bait or jig the dead minnow. Jigging a dead minnow will work occasionally but fish usually prefer the live version. I have found the best place to hook a minnow is in the nostril. This works well with bigger minnows like golden shiners or sucker minnows. However, if you use a small enough hook, this will work with perch minnows. A minnow hooked in the nostril will fight for a long time but will eventually tire out. When this happens, give the minnow a couple jigs and they will snap back into action. Hooking the minnow in the nostril not only keeps the bait alive but increases hook-ups. Most fish I have observed, have hit my minnow from the front. This makes sense to me. If you were a fish, would you ambush your prey from the front or chase from behind? Placing the hook in the front allows the angler to set the hook when the fish initially hits instead of waiting for it to engulf the bait.